Open Foundry — The ‘open’ stands for open-source, free and easily available. The word ‘foundry’ is taken from the ‘type foundry’ and suggests professional quality and industrial heritage. Their solution is to offer a carefully curated number of fonts in the most clear and dynamic way possible. Instead of overwhelming the user, Open Foundry provides enough interest and excitement to encourage further exploration. 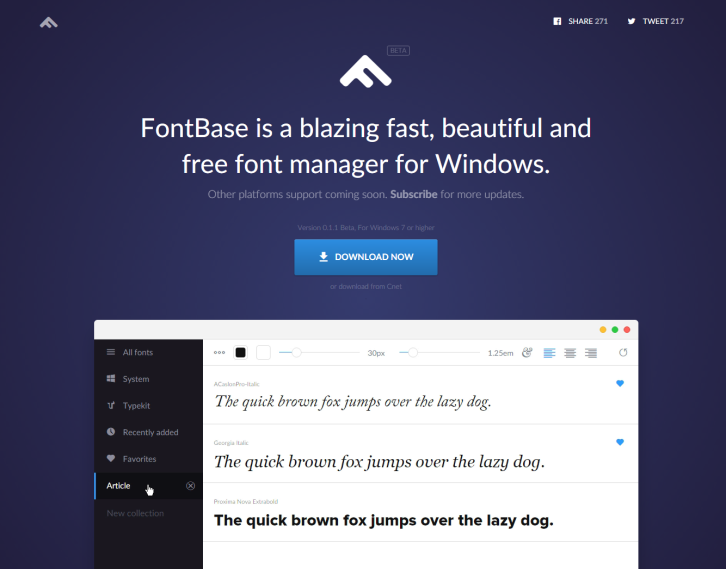 All fonts are distributed under an open-source license and are free to use. 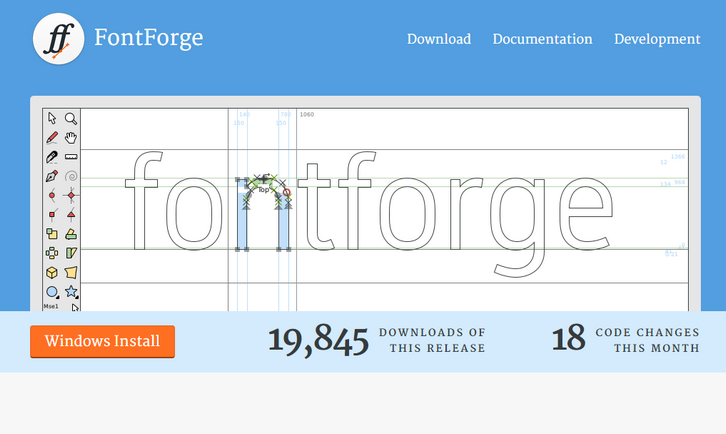 Every font provides you with a source button to its open-source hosted project, a direct download and the site where it was initially found or published. Sassline sets text on the web to a baseline grid with Sass & rems using a responsive modular-scale. 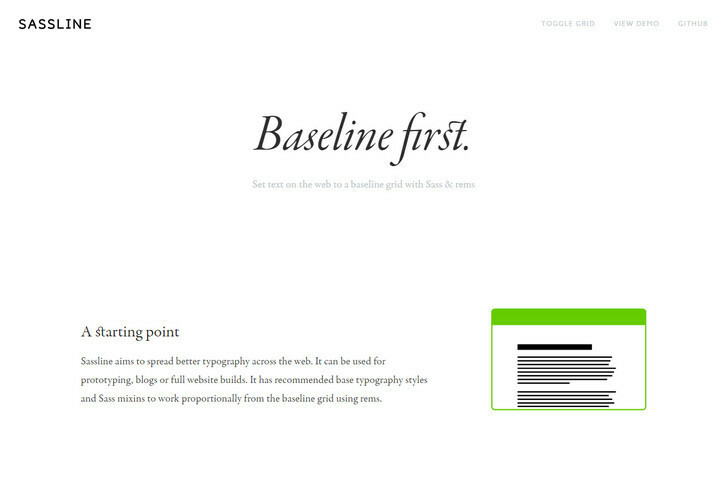 Sassline aims to spread better typography across the web. 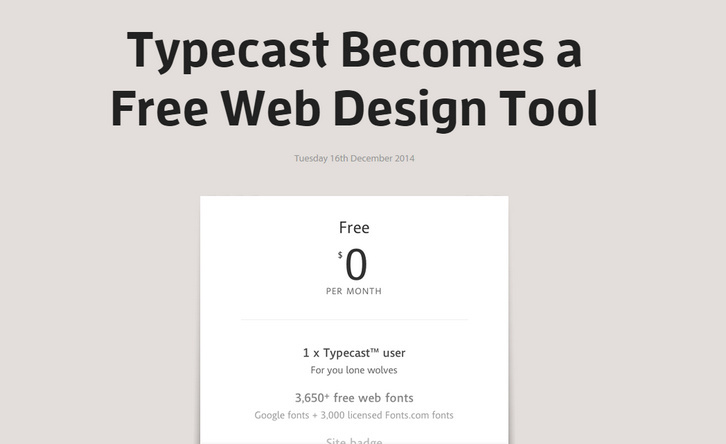 It can be used for prototyping, blogs or full website builds. It has recommended base typography styles and Sass mixins to work proportionally from the baseline grid using rems. Due to the way CSS handles text setting a baseline grid on the web is tricky. Sassline does all the heavy lifting and gives you near print level typographic control. 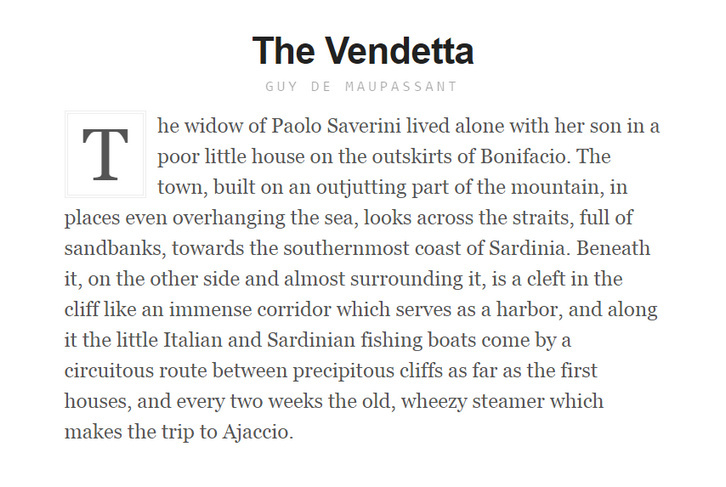 Easily align text across columns and use a precise vertical rhythm based on the baseline grid. Sassline lets you set a modular-scale for each of your breakpoints and easily work from these values to size your type. This combined with the baseline grid allows you to have harmonious proportions across all aspects of your website. Google introduced the Roboto font nearly four years ago as part of Android 4.0 Ice Cream Sandwich. Since then, it’s grown to be the default for Android and Chrome OS, and it’s a big part of Google’s overall Material Design language that we’re seeing spread across many of its web services as well. Google has announced that their signature font “Roboto” is now officially free to use by any e-reader company. The font family supports all Latin, Cyrillic, and Greek characters in Unicode 7.0, as well as the currency symbol for the Georgian lari, to be published in Unicode 8.0. The fonts are currently available in eighteen different styles. Next, add a style tag before the script, and write these new CSS properties just like you would any other styles. You can also manually adjust the space between two specific glyphs with a simple syntax. You can also set rules for where lines will to break in a paragraph. 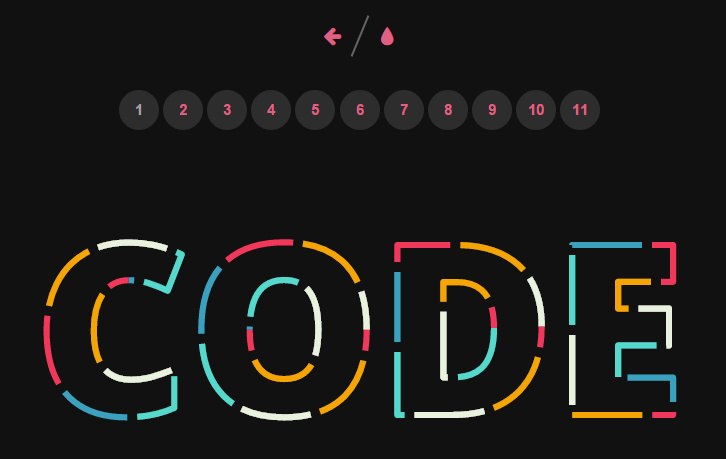 Codrops has shared a tutorial on how to create various types of (animated) fills and strokes for text using different techniques including CSS and SVG. In the article: How to Create (Animated) Text Fills, there are five ways to create patterned filled text. In three out of these five cases we will retain the ability to select the text. For each of the techniques it shows the browser support, the ability to select text and, most importantly, the possibility to animate the fill (highly experimental). 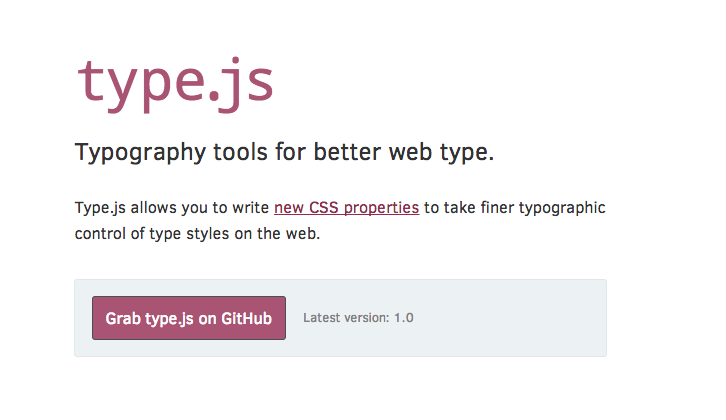 Tpesettings.css is the typography boilerplate for your minimal website or blog project. 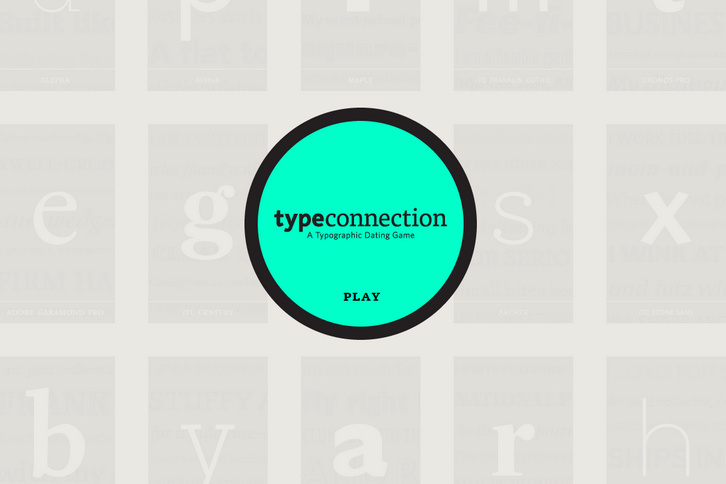 All typographic styles are inspired by traditional graphic design fundamentals—the boring stuff that you learn in Typography 101. Simple include typesettings.css in the head section after your main stylesheet, and then add class="typesettings" to your article element.